There are two architectural models for software-defined networking (SDN): Centralized and decentralized. Do you know which to use in your enterprise? 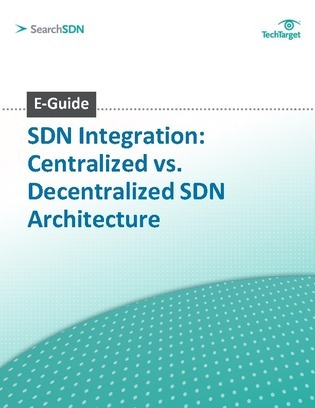 This e-guide from SearchSDN.com outlines the differences between distributed and centralized SDN architectural models to help you decide which is best for your business. In addition, learn how one vendor is boosting the scalability of data centers for organizations that use their SDN technology with the help of a micro-electromechanical systems (MEMS) optical switch.